Japan was quite an unexpected detour in my journey across Asia. As a young child, I always wanted to visit the country but as an adult, my budget wouldn’t allow it. This meant that when I first packed my bags in England, ready to face the adventure of a lifetime, I reluctantly crossed it off the list because it would greatly exceed the financial limits that I had put aside for my trip. 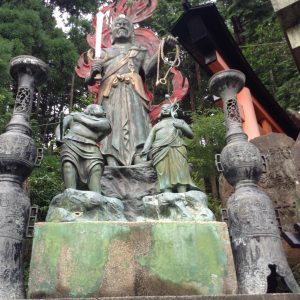 So what was I doing wandering around the streets of Japan then like a lost soul in Osaka? Yup. There I was trying to find the black and pink building that signalled I was getting near to my hostel. That black and pink building was nowhere in sight. I looked around trying to decipher the sprawl of urban buildings and bridges before me, staring into the void of traffic and Japanese symbols, wondering what the hell I was going to do next. I even tried to stop a couple of locals but between my limited Japanese and their limited English, their instructions on how to get to my hostel got lost in translation. I still can’t remember how I stumbled across the Backpackers Hotel Toyo, but I did and I eventually collapsed onto the mattress in the sweltering room. When I finally came to, I wandered downstairs looking for food and friends. 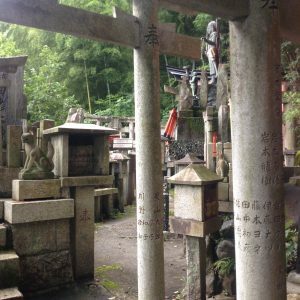 The hotel was located in a strange little area of the Nishinari district in Osaka and it was rumoured to be the most dangerous in the country. But in a country as safe as Japan, the word ‘dangerous’ in this context simply meant there were a few shabby looking people around. I felt perfectly safe as I walked past the scores of noodle outlets, 711s and Family Marts that lined the streets. I eventually settled on a takeaway box from the local supermarket and joined some of the other travellers in the common room. There I met a friendly German guy called Ben, a big, jolly, dumpling of a man who recounted stories of his hilarious encounters with local people in Japan. 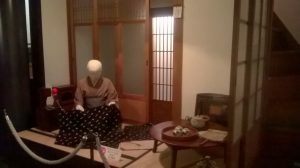 I caught the train the next day and visited the Osaka Museum of History, which has miniature recreations of various periods in Osaka’s ancient past. It also includes a fascinating floor about an ancient settlement that was rediscovered in archaeological diggings in the 1950’s. Artefacts found in these diggings are part of the display. Other floors have recreations of various periods in Osaka’s History. 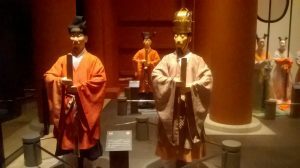 Most exhibits also have some description in English and the exhibits cover the history of Osaka from the 7th century through to the pre-war period of the 1930s. 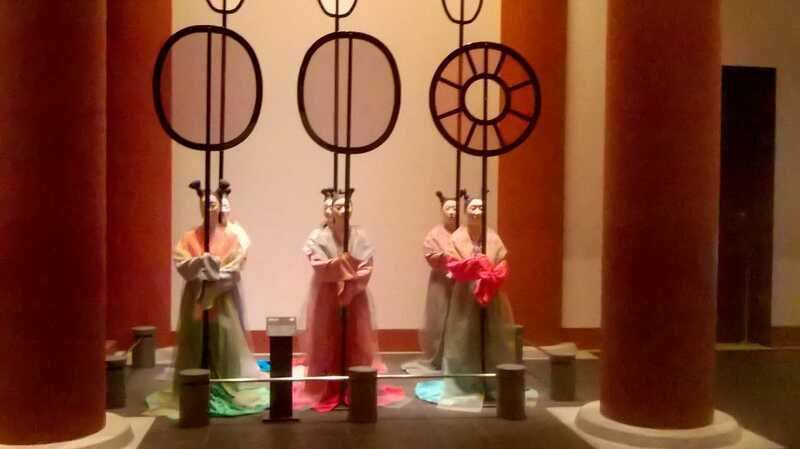 I felt as though I was stepping into an ancient world and I wondered from floor to floor and got lost in the sea of 3D villages and statues that stood as a testament to a bygone era. The other great thing about Osaka History Museum is it is located a stone’s throw away from Osaka Castle, and indeed you can buy a combined ticket that gets you entry to both. After visiting the history museum, I strolled to Osaka Castle, which is surrounded by more than 200 acres of park and woodlands. The castle is surrounded by a stone wall and moats, which are 70 to 90 meters in width. I took a long, lazy stroll through the gardens of this magnificent castle and the view was simply amazing. Once I entered into the castle, I began my ascent up the many stairs, leading to its various rooms, where visitors could read a little bit about the bygone eras. There was so much to read, look at and take in, I could easily have spent up to two hours there, reading about the various eras in Japanese history. In the entrance of the castle, there was a movie theatre as well as displays about the ancient legends and mysteries surrounding the castle. There is also a shop and information counter and a chance to see some programmes about the history of the castle. After that I made my way up 7 floors. The set-up was unusual in that visitors were encouraged to walk all the way up to the eighth floor and begin their journey there, before slowly descending to the first floor. So the first floor was actually on the eighth floor and the final gloor was on the first. If you can get your head around that, then you’ve got a pretty good idea of what life as a tourist was like inside those stone walls. It was worth the mountain climb to the top of the castle though, because there truly were some panoramic views from the top. I looked out over the landscape as far as the eye could see. I saw the urban sprawl of buildings, parks and temples that seemed to stretch into infinity. It was a great way to spend the afternoon. 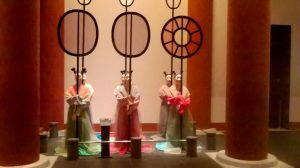 Once I’d immersed myself in Japanese history and infrastructure, I made my sombre descent down the stairway and ended up in a restaurant that was attached to the Osaka museum of history. One of the people in this picture are fake. Guess which one? I gorged myself on a dish which still remains a mystery ‘til this day, although it appeared to be some kind of beef stew. Of all the things I was looking forward to in Japan, sampling some of the weird and wonderful dishes out there was among my favourite. While some dishes were more weird than wonderful, the delicacies certainly left a taste in my mouth that created so many pleasurable moments while I was out there. 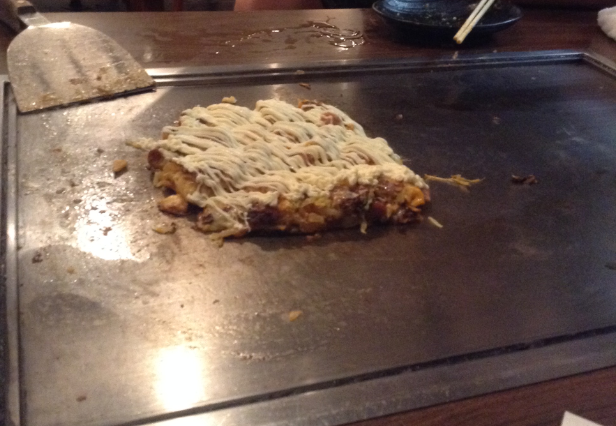 Take Okonomiyaki for example. Okonomiyaki is a Japanese savoury pancake, that comes with a variety of different ingredients, including meat, cheese and vegetables. And that is exactly what I had for breakfast the next day, when I went out with a group of travellers. After that delicious meal, we caught a metro to the centre of Osaka and spent the day wandering in and out of the many temples that were packed into that area. One of the things that fascinated me as I was making my way through various malls and streets were the number of gaming arcades I saw. These were large, smoke-filled casino-style arcades where local men and women would sit for hours and play games or gamble. There were people there of various ages – some very young, some very old, and a good mix of businessmen, ordinary people and teenagers. In some countries (such as England) people distract themselves with pubs, clubs and television. While television and bars are still distractions in Japan, the biggest distraction appeared to be virtual reality. I almost had a go on one of the machines myself, but I wasn’t smart enough to figure out how to use one properly. So I settled for a bit of shopping and temple hopping instead. Later, I joined a group of other travellers from almost every country in the world for a lively meal at one of the local restaurants. There was everything there from fried squid, sushi and noodles to Western food, so you could really take your pick. On July 8th, I took the overnight Willer Express Bus to Kyoto. Kyoto is a place I’d dreamed about going since I was little. 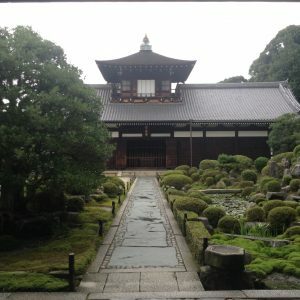 In Kyoto, there are around 1,600 temples and I was on a mission to explore as many of them as I could. I arrived at the Haruya Hostel in downtown Kyoto the next morning to an incredibly polite and friendly service and spent much of the day visiting the local restaurants and in the evening I conversed with some of the other travellers. As well as being packed with temples, Kyoto also has some fantastic indoor and outdoor markets that are well worth exploring. 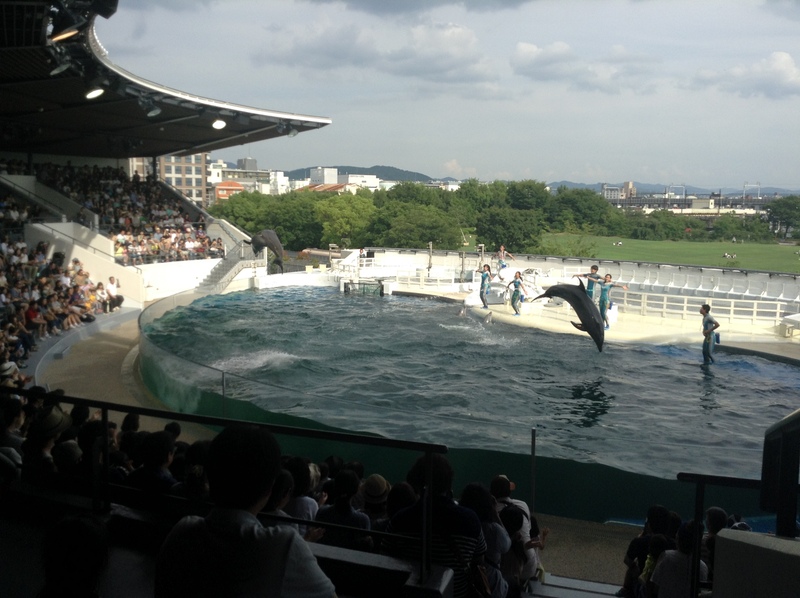 The dolphin show at Kyoto aquarium is also worth a visit. Here you get to see dolphins perform tricks with their keepers including somersaulting on demand and jumping out of the water in time to the music. 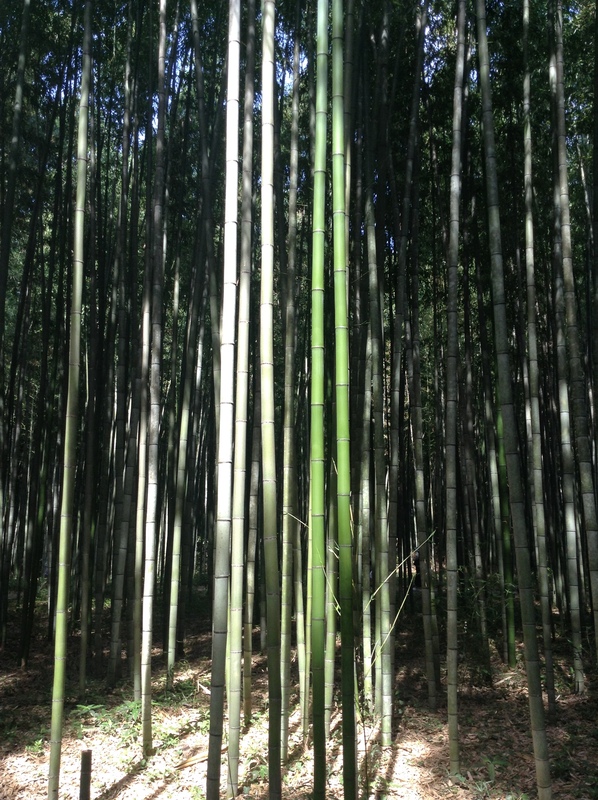 But what I really loved and remember most about Japan was the bamboo forests. 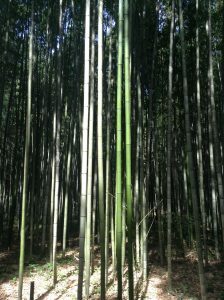 Although you can see bamboo forests all over Asia, it was Japan that really made it special for me. 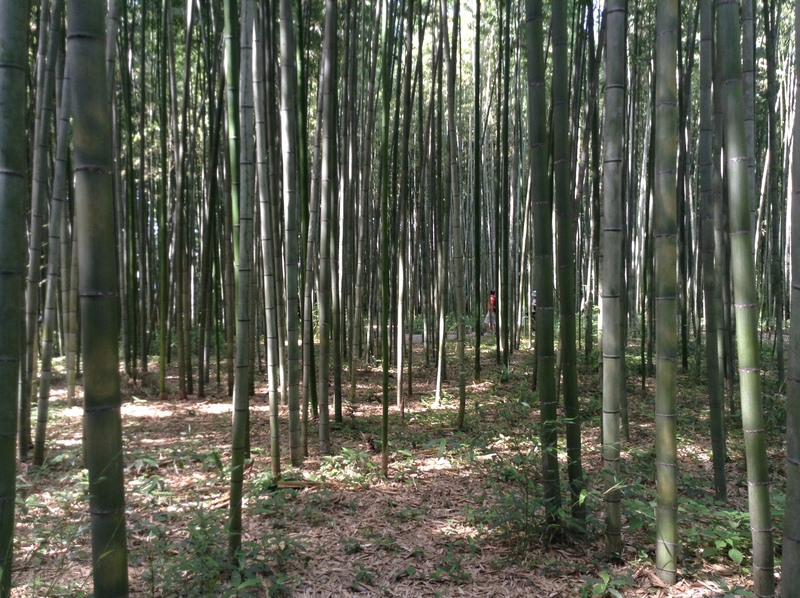 There are areas of Japan where you can walk for miles in these exotic forests, surrounded by nothing but the sound of monkeys rustling in the trees, waterfalls and birdsong. Forests like these are where your dreams come out from hiding and you’re left alone with your thoughts and the wildlife. These magical forests have an ancient history that stretches back for thousands of years. 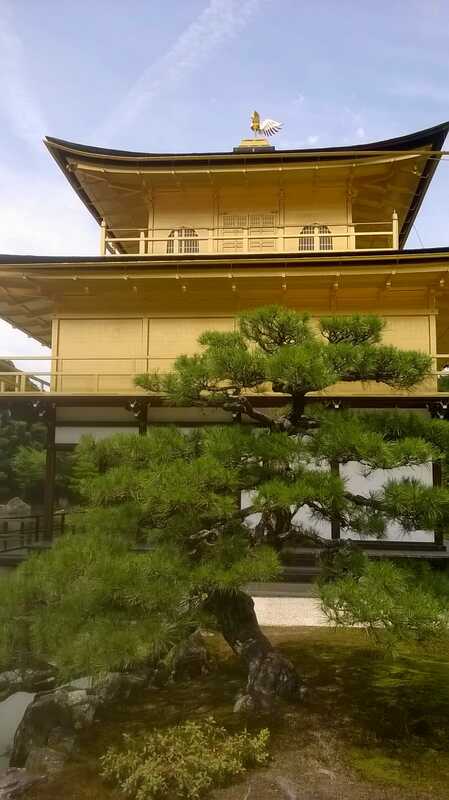 My first experience of being surrounded by bamboo was at the Golden Pavilion temple in Kyoto Kinkaku-ji. 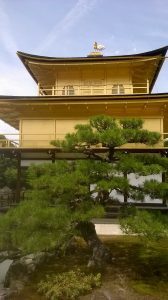 I was travelling with two other women at the time and we decided to catch a bus to see the Golden Pavilion. Unfortunately, one of them fell ill and we had to get off the bus, before realising that there wasn’t another one coming for a long while. I don’t know how long or how far we walked. I have no idea where we were. All I know is the sun was beating down on our backs and my legs were starting to stage a protest. Then we realised that none of us knew where we were going or how to get there. But truly, we were about to discover the extent of kindness and generosity of people in Japan. So we stopped and asked a gentleman for directions to the Golden Pavilion. He went inside to ask his wife. His wife, to my immense relief, grabbed her car keys and told us all to jump in. I’ve never been so grateful in my life. The walk was over. 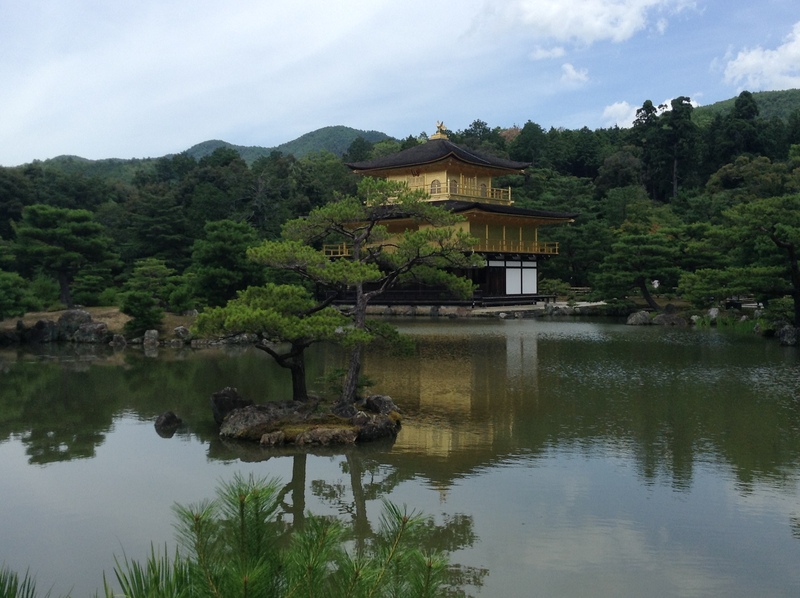 The Golden Pavilion is a popular tourist hotspot in Japan and the crowds were out in full force that day. 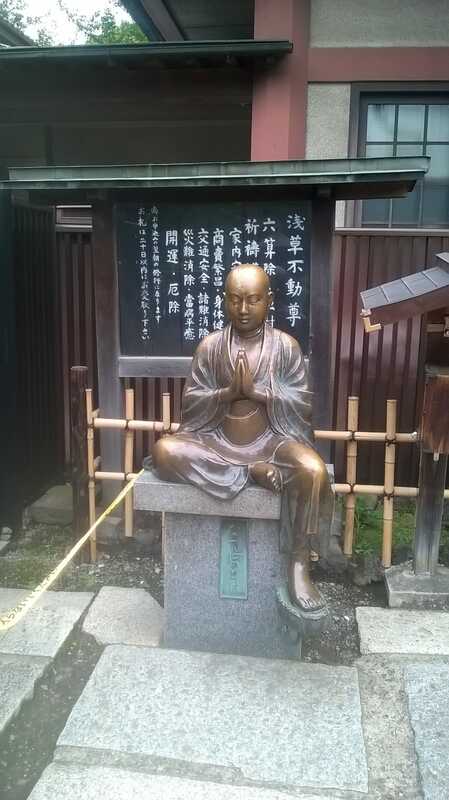 It is a Zen Buddhist temple in Kyoto that was built in the 1300s. 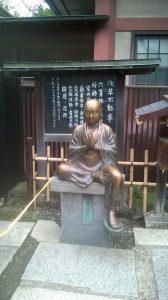 The town surrounding the Golden Pavilion is a cute little tourist town, with parks, smaller temples and a small bamboo forest area that is surrounded by woodlands, so it was nice to have a little look around and take in all of the sights. Later during the afternoon, I went to a never-ending market. 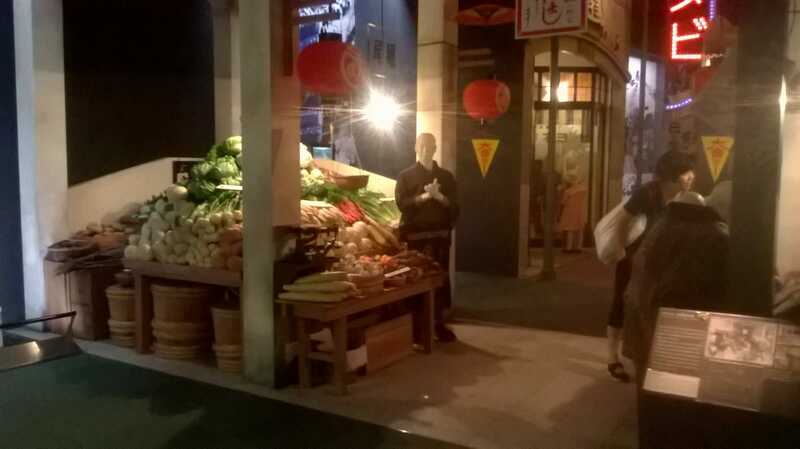 In these markets you can find pretty much anything you can imagine, including fried fish, ramen, exotic fruits and veg, kimonos, buddhas and barbeque sticks. But it seemed that no matter how many miles you walked, you were still inside the market. It was a fascinating experience to say the least. Eventually I wandered outside to the outdoor market, where the clash of bright colours, aromatic foods and pottery connected with every one of my senses. And I’d barely walked forward a few steps, when once again, I was inside of the market. The indoor market is separated by small outdoor areas which connect to the next part of the market. 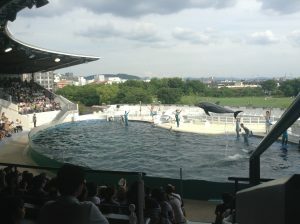 The next day was fairly inconspicuous, but yet it was one of my most memorable days in Japan. You see, by this point, I’d seen many temples. I was starting to display the symptoms of temple fatigue. And yet here I was in yet another temple that seemed fairly plain and understated compared to the elaborate and intricate decor of the many I’d seen before it. But the simplicity of this temple was actually the key to its beauty. There’s something quite enchanting about being in a quiet, humble place of worship, surrounded by greenery and mountains as far as the eye can see. I don’t know how long I stayed there, just soaking up the scenery and having a quiet moment. On the way out, I stopped in a little garden only to be confronted by the biggest monkey I’d ever seen in my life. It stared at me from a rooftop. I stared back. Defeated, I then made a quick exit and continued walking for what seemed like an eternity. 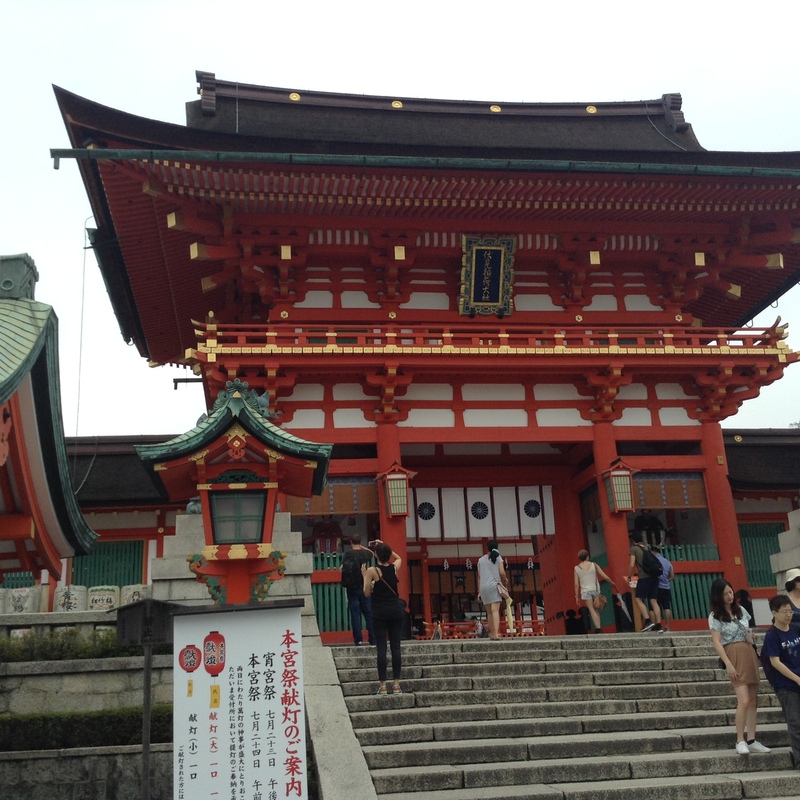 Somehow, I ended up at the Fushimi Inari Taisha shrine, which left me with my second most memorable experience in Japan. The Fushimi Inari Taisha shrine greeted me in a splash of orange and black. It is famous for its vermilion torii gates that stretch for 4 kilometres and take around 2 hours to complete. 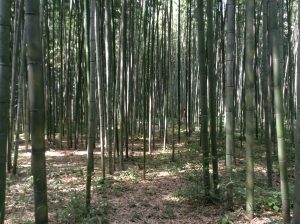 After following its trail, I ended up in another beautiful bamboo forest where it seemed time itself had stopped still. It was even more breathtaking than the first and it led all the way up to the Fushimi Inari mountain. A few hours later, I reluctantly forced myself to return to the hostel, after being immersed in one of the most beautiful forests I’d ever seen. I still don’t know why that was my most memorable experiences in Japan. But it’s a day I’ll remember more than most.